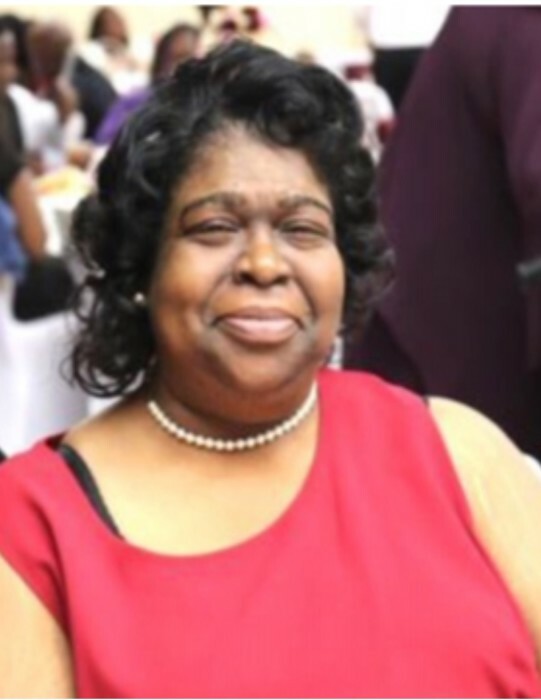 A homegoing celebration service for Mrs. Songy Robinson of Tampa, Florida, who passed away on Tuesday, January 22, 2019, will be held Saturday, February 2nd, 11:00 a.m. at St. John Progressive M.B. Church, 2504 E. Chipco St., Rev. Bartholomew Banks, pastor; Rev. Timothy Cohen, pastor of New Birth M.B. Church, officiant and eulogist. The interment will be in Garden of Memories Cemetery. Songy was born on January 16, 1963 to the late Pearlene Green-Benton and Herman Green Sr. in Tampa, Fl. Songy attended Brandon High School in 1980 and attended Texas Southern University and received a track and field scholarship. In 1984, she received her Bachelor of Science Degree in Exceptional Education from Bethune-Cookman College in Daytona Beach, FL. She later received her Master’s Degree in Educational Leadership with specialization in ESE Services, from the University of South Florida in Tampa. She was also an active member of Zeta Phi Beta Sorority Inc., the National Educators Association and BCU Alumni Association. Songy, was an outstanding teacher for Hillsborough County School System for over 30 years. She started her career as an Educator at B.C. Graham Elementary School and remained the, Exceptional Education Coordinator and Reading Teacher until her passing. She was honored as Teacher of the Year and recipient of the Ida B. Wells Award, numerous times by B.C. Graham. She was a faithful woman of God who worked diligently to bring everyone to Christ. She worked in many capacities in her service to God: Women’s Mission President, Youth Ministries Coordinator, Church Clerk, V.B.S. Coordinator, Sunday School Teacher, and choir member. She began her work with the International Baptist Association of Ministers Wives and Widows, while married to the late Rev. Dr. Paul Robinson. Songy was preceded in death by her husband, Rev. Dr. Paul Robinson Sr., mother, Pearlene Green-Benton, father, Herman Green Sr., brother, Herman Green, Jr., mother-in-Law: Annie Mae Banks and aunt, Annie Mae Shaw. She leaves to cherish her memories, children: Dantrecia Robinson, of Tampa, Minister Paul Robinson Jr.,(Brandi) of Tampa and god-daughter, Marissa Holloman of Tallahassee, FL., granddaughter, Jaelynn LaShawn Robinson, of Tampa, an grandson, Jaeden Isaiah Robinson of Tampa, brothers: Danny E, Green Sr (Eva) of Arkansas, Andre Green (Sandra) of Tampa; step-father, Alfonso Benton; aunts, Margaret Jones, Vena Hammond and Gloria Bert, all of Tampa and Ruby Jordan of Georgia; uncle, Ernest Brown of Jacksonville, FL., special nieces, Danielle Williams, Andrea Green and Jasmine McLeod, all of Tampa., special nephews, Achilles Green, Danny Green, Jr., Davon Green and Jordan Green, all of Tampa, and a host other nieces and nephews; brother-in-law, Rev. Cecil Robinson (Barbara) of Hinesville, Ga; a host of great nieces and nephews, a host of sisters -in-law and brothers-in-law, devoted friends, Mattie Williams, Claire Martin, Carolyn Marshall, Jacqueline Watson, Ann Ruth Smith, and Sara Smith; a host of cousins from the Green, Shaw, Bludshaw, and Robinson family’s; and many loving students. The visitation will be held at New Birth M.B., Church, 4618 N. Florida Ave., Friday, February 1st from 5:00-7:00 p.m. The family will receive friends during the entire visitation. The family and friends are asked to meet at St. John Progressive M.B. Church on Saturday for the service.